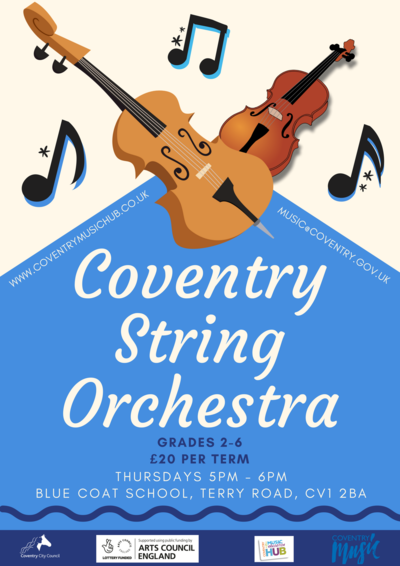 The String Orchestra is a friendly group for young string players learning violin, viola, cello or double bass. Members are from a range of primary and secondary schools, and are all between ‘nearly beginner’ up to Grade 3. At break time we play a game, making our orchestra a friendly and happy group! We need more member so if you like playing a string instrument, come and give us a try!